This proverb is often used as an excuse for not helping those outside the family circle. But this is not the real meaning of the proverb. In its literal sense charity is love of one’s fellow men; kindness; natural affection. If children learn to love and help those nearest to them in their early years, they will love and help their fellow men when they grow up. 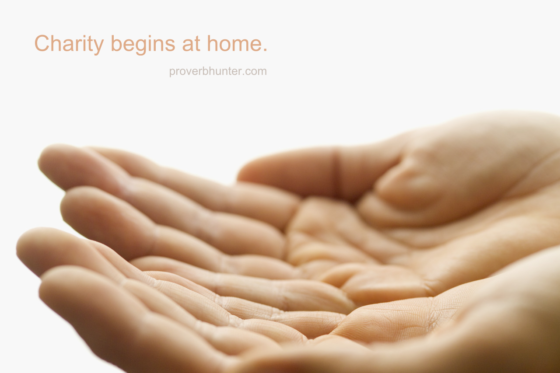 In other words, charity begins at home, but it does not end there.